"In Cuba...until you have eaten everything you've bought, you don't go to the market." Federico Spadini from OXFAM Italy, offered IPS five ways people can help alleviate this issue: reduce the consumption of meat and dairy products, reduce food waste, be aware of how much water and electricity one uses while cooking, eat seasonal products, and sustain small farmers instead of corporate agriculture. An estimated 800 million people working in agriculture around the world live below the poverty line, and approximately half of the world’s inhabitants who suffer from hunger are smallholder farmers. “Supporting smallholder farmers will go a long way toward alleviating food insecurity and increasing incomes where most needed,” says Ellen Gustafson, co-founder of Food Tank, a non-profit working in environmentally sustainable ways to alleviate hunger and other food-related ailments. Peruvian chef Elsa Javier, who deals primarily with ethnic food, has been devising creative ways to reduce food waste, such as by combining Italian Mediterranean food and Andean biodiversity. 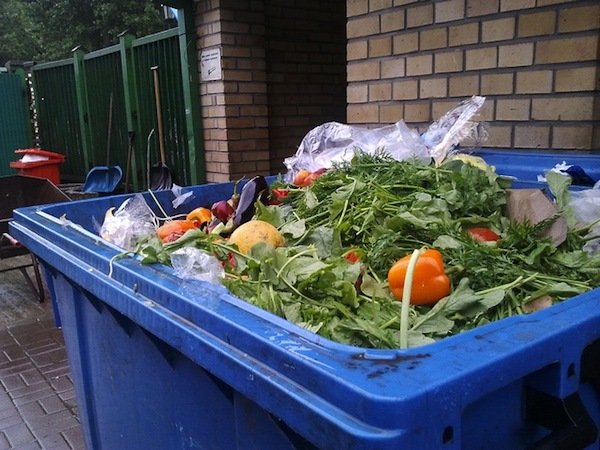 Others have turned to technology to combat food waste. ICT4G (ICT for Good), an Italian group that uses technology to foster economic and social development, has developed a smartphone application called “Bring the Food” that facilitates food donations. I gather there are health and safety laws in the US that prohibit restaurants from giving away leftovers. Latest news as quoted in today’s Daily Mail “Tesco admits two thirds of bagged salads end up in bin” The article then goes on to explain how Tesco are intending to counteract this. Other big retailers need to sit up and take notice. Correct! !It is asinine and also many foods that have expiration date are good long after the stated date!! Also take India where millions of pounds of food are destroyed by rats because of an asinine religion that will not let them be killed!! I do not think any food should be sent to countries that are this dumb! !